Daniel Fărcaş este licenţiat în filosofie, precum şi în filologie modernă şi clasică(franceză-greacă veche). Intre 1998 si 1999, a urmat cursurile de studii aprofundate de filosofie franceză ale Universitatii „Babes‑Bolyai” din Cluj‑Napoca, finalizindu‑le cu o lucrare dedicată hermeneuticii fenomenologice, iar, intre 1999 si 2000, cursurile masteratului (DEA) de istorie a filosofiei din cadrul Universitatii Paris I – Pantheon‑Sorbonne, cu o lucrare despre semnificatie. 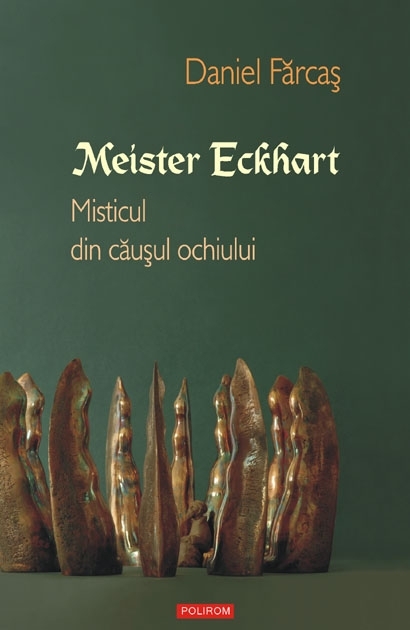 Din ianuarie 2008, este doctor in filosofie al Universitatii Paris IV – Sorbonne, cu o teză dedicata lui Albert cel Mare si Meister Eckhart. A beneficiat de burse de cercetare la Univer­sitatile Paris I – Pantheon‑Sorbonne si Paris XII – Val‑de‑Marne. A publicat articole teoretice si studii stiintifice in periodice precum Vatra, Echinox, Familia, Studia Universitatis Babes‑Bolyai, Altarul Banatului, Caietele Echinox, Orma, Verso. Supernatural is a dangerous and difficult word in any of its senses, looser or stricter. But to fairies it can hardly be applied, unless super is taken merely as a superlative prefix. For it is man who is, in contrast to fairies, supernatural (and often of diminutive stature); whereas they are natural, far more natural than he. Such is their doom. The road to fairyland is not the road to Heaven; nor even to Hell, I believe, though some have held that it may lead thither indirectly by the Devil’s tithe. The knight Pigwiggen rides on a frisky earwig, and sends his love, Queen Mab, a bracelet of emmets’ eyes, making an assignation in a cowslip-flower. But the tale that is told amid all this prettiness is a dull story of intrigue and sly go-betweens; the gallant knight and angry husband fall into the mire, and their wrath is stilled by a draught of the waters of Lethe. It would have been better if Lethe had swallowed the whole affair. Oberon, Mab, and Pigwiggen may be diminutive elves or fairies, as Arthur, Guinevere, and Lancelot are not; but the good and evil story of Arthur’s court is a “fairy-story” rather than this tale of Oberon. Fairy, as a noun more or less equivalent to elf, is a relatively modern word, hardly used until the Tudor period. The first quotation in the Oxford Dictionary (the only one before A.D. 1450) is significant. It is taken from the poet Gower: as he were a faierie. But this Gower did not say. He wrote as he were of faierie, “as if he were come from Faërie.” Gower was describing a young gallant who seeks to bewitch the hearts of the maidens in church. This is a young man of mortal blood and bone; but he gives a much better picture of the inhabitants of Elf-land than the definition of a “fairy” under which he is, by a double error, placed. For the trouble with the real folk of Faerie is that they do not always look like what they are; and they put on the pride and beauty that we would fain wear ourselves. At least part of the magic that they wield for the good or evil of man is power to play on the desires of his body and his heart. The Queen of Elfland, who carried off Thomas the Rhymer upon her milk-white steed swifter than the wind, came riding by the Eildon Tree as a lady, if one of enchanting beauty. So that Spenser was in the true tradition when he called the knights of his Faerie by the name of Elfe. It belonged to such knights as Sir Guyon rather than to Pigwiggen armed with a hornet’s sting. The number of collections of fairy-stories is now very great. In English none probably rival either the popularity, or the inclusiveness, or the general merits of the twelve books of twelve colours which we owe to Andrew Lang and to his wife. The first of these appeared more than seventy years ago (1889), and is still in print. Most of its contents pass the test, more or less clearly. I will not analyse them, though an analysis might be interesting, but I note in passing that of the stories in this Blue Fairy Book none are primarily about “fairies,” few refer to them. Most of the tales are taken from French sources: a just choice in some ways at that time, as perhaps it would be still (though not to my taste, now or in childhood). At any rate, so powerful has been the influence of Charles Perrault, since his Contes de ma Mère l’Oye were first Englished in the eighteenth century, and of such other excerpts from the vast storehouse of the Cabinet des Fées as have become well known, that still, I suppose, if you asked a man to name at random a typical “fairy-story,” he would be most likely to name one of these French things: such as Puss-in-Boots, Cinderella, or Little Red Riding Hood. With some people Grimm’s Fairy Tales might come first to mind. But what is to be said of the appearance in the Blue Fairy Book of A Voyage to Lilliput? I will say this: it is not a fairy-story, neither as its author made it, nor as it here appears “condensed” by Miss May Kendall. It has no business in this place. I fear that it was included merely because Lilliputians are small, even diminutive—the only way in which they are at all remarkable. But smallness is in Faerie, as in our world, only an accident. Pygmies are no nearer to fairies than are Patagonians. I do not rule this story out because of its satirical intent: there is satire, sustained or intermittent, in undoubted fairy-stories, and satire may often have been intended in traditional tales where we do not now perceive it. I rule it out, because the vehicle of the satire, brilliant invention though it may be, belongs to the class of travellers’ tales. Such tales report many marvels, but they are marvels to be seen in this mortal world in some region of our own time and space; distance alone conceals them. The tales of Gulliver have no more right of entry than the yarns of Baron Munchausen; or than, say, The First Men in the Moon or The Time-Machine. Indeed, for the Eloi and the Morlocks there would be a better claim than for the Lilliputians. Lilliputians are merely men peered down at, sardonically, from just above the house-tops. Eloi and Morlocks live far away in an abyss of time so deep as to work an enchantment upon them; and if they are descended from ourselves, it may be remembered that an ancient English thinker once derived the ylfe, the very elves, through Cain from Adam. This enchantment of distance, especially of distant time, is weakened only by the preposterous and incredible Time Machine itself. But we see in this example one of the main reasons why the borders of fairy-story are inevitably dubious. The magic of Faerie is not an end in itself, its virtue is in its operations: among these are the satisfaction of certain primordial human desires. One of these desires is to survey the depths of space and time. Another is (as will be seen) to hold communion with other living things. A story may thus deal with the satisfaction of these desires, with or without the operation of either machine or magic, and in proportion as it succeeds it will approach the quality and have the flavour of fairy-story. Next, after travellers’ tales, I would also exclude, or rule out of order, any story that uses the machinery of Dream, the dreaming of actual human sleep, to explain the apparent occurrence of its marvels. At the least, even if the reported dream was in other respects in itself a fairy-story, I would condemn the whole as gravely defective: like a good picture in a disfiguring frame. It is true that Dream is not unconnected with Faërie. In dreams strange powers of the mind may be unlocked. In some of them a man may for a space wield the power of Faërie, that power which, even as it conceives the story, causes it to take living form and colour before the eyes. A real dream may indeed sometimes be a fairy-story of almost elvish ease and skill— while it is being dreamed. But if a waking writer tells you that his tale is only a thing imagined in his sleep, he cheats deliberately the primal desire at the heart of Faerie: the realization, independent of the conceiving mind, of imagined wonder. It is often reported of fairies (truly or lyingly, I do not know) that they are workers of illusion, that they are cheaters of men by “fantasy”; but that is quite another matter. That is their affair. Such trickeries happen, at any rate, inside tales in which the fairies are not themselves illusions; behind the fantasy real wills and powers exist, independent of the minds and purposes of men. It is at any rate essential to a genuine fairy-story, as distinct from the employment of this form for lesser or debased purposes, that it should be presented as “true.” The meaning of “true” in this connexion I will consider in a moment. But since the fairy-story deals with “marvels,” it cannot tolerate any frame or machinery suggesting that the whole story in which they occur is a figment or illusion. The tale itself may, of course, be so good that one can ignore the frame. Or it may be successful and amusing as a dream-story. So are Lewis Carroll’s Alice stories, with their dream-frame and dream-transitions. For this (and other reasons) they are not fairy-stories (1-vezi jos). There is another type of marvellous tale that I would exclude from the title “fairy-story,” again certainly not because I do not like it: namely pure “Beast-fable.” I will choose an example from Lang’s Fairy Books: The Monkey’s Heart, a Swahili tale which is given in the Lilac Fairy Book. In this story a wicked shark tricked a monkey into riding on his back, and carried him half-way to his own land, before he revealed the fact that the sultan of that country was sick and needed a monkey’s heart to cure his disease. But the monkey outwitted the shark, and induced him to return by convincing him that the heart had been left behind at home, hanging in a bag on a tree. The beast-fable has, of course, a connexion with fairy-stories. Beasts and birds and other creatures often talk like men in real fairy-stories. In some part (often small) this marvel derives from one of the primal “desires” that lie near the heart of Faerie: the desire of men to hold communion with other living things. But the speech of beasts in a beast-fable, as developed into a separate branch, has little reference to that desire, and often wholly forgets it. The magical understanding by men of the proper languages of birds and beasts and trees, that is much nearer to the true purposes of Faerie. But in stories in which no human being is concerned; or in which the animals are the heroes and heroines, and men and women, if they appear, are mere adjuncts; and above all those in which the animal form is only a mask upon a human face, a device of the satirist or the preacher, in these we have beast-fable and not fairy-story: whether it be Reynard the Fox, or The Nun’s Priest’s Tale, or Brer Rabbit, or merely The Three Little Pigs. The stories of Beatrix Potter lie near the borders of Faerie, but outside it, I think, for the most part. Their nearness is due largely to their strong moral element: by which I mean their inherent morality, not any allegorical significatio. But Peter Rabbit, though it contains a prohibition, and though there are prohibitions in fairyland (as, probably, there are throughout the universe on every plane and in every dimension), remains a beast-fable. (1)The very root (not only the use) of their “marvels” is satiric, a mockery of unreason; and the “dream” element is not a mere machinery of introduction and ending, but inherent in the action and transitions. These things children can perceive and appreciate, if left to themselves. But to many, as it was to me, Alice is presented as a fairy-story and while this misunderstanding lasts, the distaste for the dream-machinery is felt. There is no suggestion of dream in The Wind in the Willows. “The Mole had been working very hard all the morning, spring-cleaning his little house.” So it begins, and that correct tone is maintained. It is all the more remarkable that A. A. Milne, so great an admirer of this excellent book, should have prefaced to his dramatized version a “whimsical” opening in which a child is seen telephoning with a daffodil. Or perhaps it is not very remarkable, for a perceptive admirer (as distinct from a great admirer) of the book would never have attempted to dramatize it. Naturally only the simpler ingredients, the pantomime, and the satiric beast-fable elements, are capable of presentation in this form. The play is, on the lower level of drama, tolerably good fun, especially for those who have not read the book; but some children that I took to see Toad of Toad Hall, brought away as their chief memory nausea at the opening. For the rest they preferred their recollections of the book.